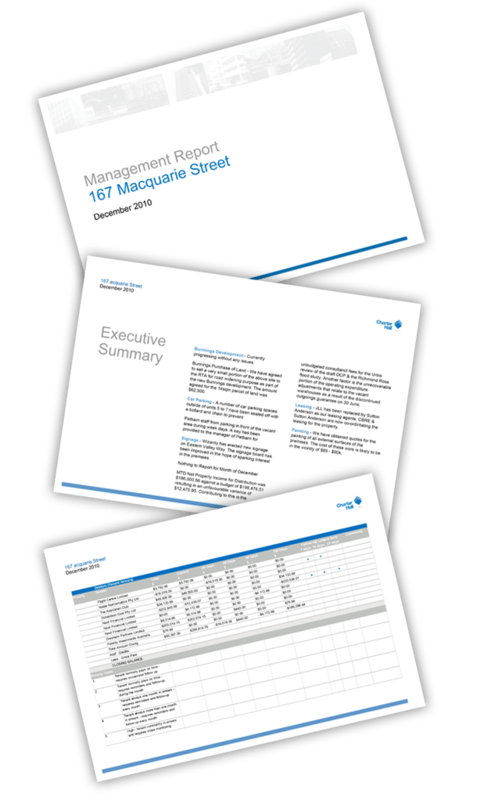 ​Charter Hall own and manage 329 commercial properties around Australia, including office buildings, supermarket anchored retail centres, and a rapidly growing stable of industrial assets, on behalf of our institutional, wholesale and retail investors. ​The client wanted a simple template that their team of users could use. They chose a horizontal format as it would suit their content. ​WIth the format of the page, PowerPoint was offered as a solution however the client preferred the flowing text options and content style management they would have in Word.